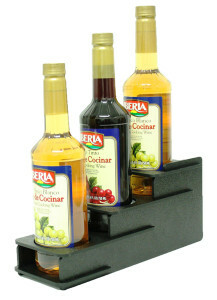 Flavored Syrup Organizers for all your condiment display needs. 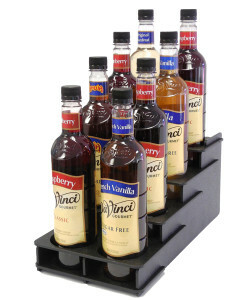 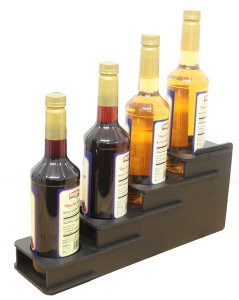 Buy Coffee Condiment Organizers, and Flavored Syrup Displays direct from the manufacturer, made in the USA! 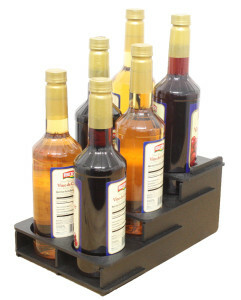 Our organizers are durable, made from high-impact ABS plastic. 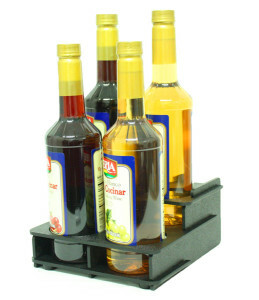 Keep your coffee station clean, and orderly with Calmarc Display Coffee Condiment Organizers and Flavored Syrup Displays. Choose from single-tier to multi-level condiment holders with compartments for your coffee cups, creamers, stir sticks, straws, and more.